Palm Sunday is this Sunday. Here’s a lesson that you can use to make the day powerful. You can buy this at most party supply stores. After playing the game a few times, talk to the children about how Jesus rode to Jerusalem on a donkey. To play “Palm Branch Limbo,” you will need a few palm branches. These branches are easily found in department stores and floral shops weeks leading up to Palm Sunday. The children will have to limbo under the palm branches while the other children around them cheer them on. Remind the children of how palm branches were placed in front of Jesus as the crowd around Him cheered Him on and shouted praises to Him. You can assign children parts and have them act out this story. When Jesus entered Jerusalem on Palm Sunday, he rode in on a colt like a king. A colt is a young donkey. That means a child donkey held the full glory of God on his back. Child can have the full glory of God in them. You don’t have to wait until you’re grown up. Everyone heard that Jesus was coming and ran out to meet Him. Some laid palm branches on the ground for Him to ride on. 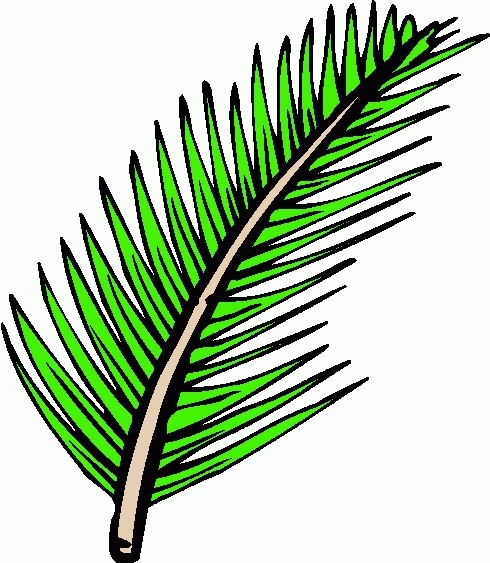 Others waved palm branches and shouted Hosanna, Son of David. They called Him Son of David because that was what they called the Messiah. They knew that the Messiah would have King David as an ancestor in His family tree. Hosanna means “save us” or “rescue us”. They were recognizing that Jesus is the Son of God who had come to save them. Imagine being in the crowd that day and waving palm branches to Jesus and shouting “Hosanna”. This made the religious leaders angry. They made money off these men who cheated the people. 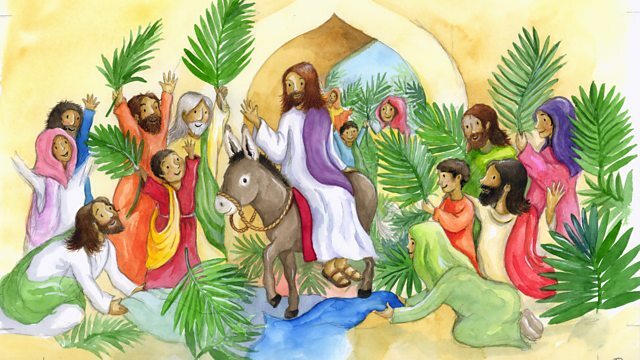 When Jesus entered Jerusalem, children and adult grabbed palm branches to praise him with. We don’t always have palm branches around, but we can still praise Jesus with our palms. (Hold up your hands.) God created us with two palms we can always use to praise Him with. Let’s hold up our palms now and shout “Praise the Lord”. If you have enough rocks, give a rock or pebble to each child to take home. Tell them to put it out some place to remind them to Praise the Lord. Have any of you ever heard a rock talk? After the Pharisees tried to get Jesus to stop the children from praising Him, Jesus said something very interesting. He said if we don’t praise Him, the rocks will cry out praise. (Show the rocks) Have any of you ever heard a rock speak? That was amazing what Jesus said. But if children hadn’t praised Him as the Messiah the day he entered Jerusalem, that’s just what would have happened. Rocks not only would have spoke, they would have cried out praises to God. God still wants His children to praise Him. I don’t want the rocks to cry out my praise. I want to praise God with my own mouth. Let’s do that right now. On the count of three, let’s all shout “Praise the Lord”. When Jesus said this, He said it in Hebrew. It was written down in Greek. And we quote the verse in English. What the verse really meant in the original language is that God taught children and babies to lead praise. That means that Jesus not only wants children to praise Him, He wants children to lead praise. Have you ever seen a church that had children lead praise and worship in Big Church. 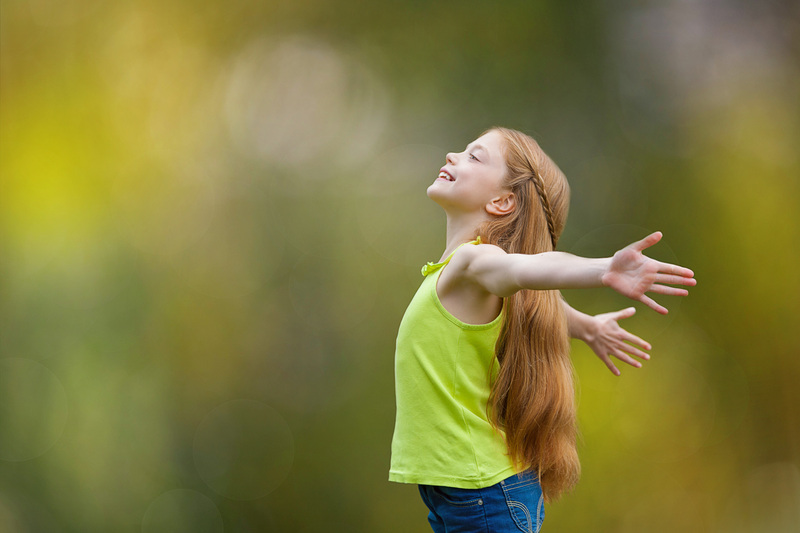 Most churches normally have adults leading praise, but God wants children to lead praise. That doesn’t mean you have to join the adult praise team. But it does mean if you praise God with your whole heart, adults will see it and want to praise God too. Ask the children to make a decision to praise God with their whole hearts. If you have time, lead them in another praise song and encourage them to praise God with their whole hearts while they sing it. 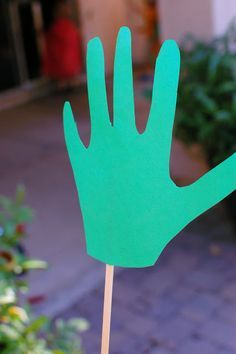 Have children trace their hand prints onto construction paper. Have them cut out the hand prints and glue them onto the craft sticks. Remind the children that we made these palm branches to remind us that we all have palms to wave when we praise the Lord.